Performance Lawn and Landscaping was founded in 2008 by Bill Murphy as a small lawn maintenance company. It quickly grew into a full service lawn and landscape provider. Check out the areas we have grown into on our website including Property Maintenance, Landscape Design, Outdoor Living and other Seasonal Offerings. 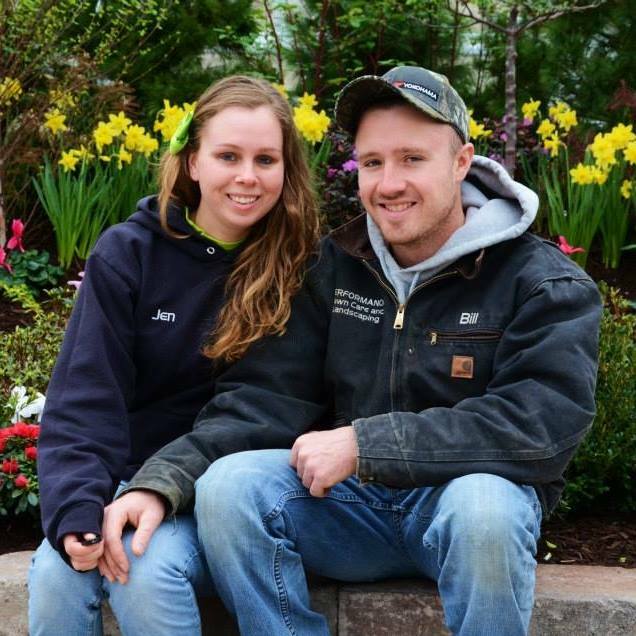 Bill and Jen both love the outdoors - hiking, gardening, farming, fishing. Bill started in 2005 as an assistant caretaker for an estate in Millbrook NY. He worked for and managed a local lawn maintenance company. He went on to purchase the business and expanded it to include landscape design and build, snow plowing, and lawn care services. Performance Lawn and Landscape has been a competitor in the Dutchess County Fair for 4 years resulting in blue ribbons each year in categories including landscape construction, plant quality and condition, best landscape design and theme interpretation. Jen joined the company in 2014 and handles all the indoor activities related to the business so Bill can focus on the highest quality results outside. Bill graduated from the NY Botanical Gardens with a certificate in sustainable landscape management. He completed the ICPI (Interlocking Concrete Pavement Institute) for Installer Level 1. He also completed the DEC courses for pest management. Jen has been growing plants since she was just a seedling herself on her family’s produce farm in LaGrange NY. She is the official photographer for Performance Lawn and Landscape and her creative touches can be seen in both home and business.